Technology in Cancer Research and Treatment (TCRT) is an open access, peer-reviewed journal which focuses on developments in the prevention, diagnosis, treatment, and monitoring of cancer. Please see the Aims and Scope tab for further information. Submit your manuscript at https://mc.manuscriptcentral.com/tcrt. As part of the manuscript submission process, authors can request a full Technical Edit of their manuscript to take place after peer review. For articles opting to receive a Technical Edit, the APC is $3,500 USD. Please direct any queries to jennifer.lovick@sagepub.com. Technology in Cancer Research and Treatment (TCRT) is a JCR-ranked, broad-spectrum, open access, peer-reviewed publication whose aim is to provide researchers and clinicians with a platform to share and discuss developments in the prevention, diagnosis, treatment, and monitoring of cancer. The article processing charge (APC) is $2,000 USD (+VAT where applicable*). As part of the manuscript submission process, authors can request a full Technical Edit of their manuscript to take place after peer review. For articles opting to receive a Technical Edit, the APC is $3,500 USD (+VAT where applicable*). reserve the right to ask for manuscripts to be edited and/or shortened. unsolved controversies arising in current research. recommendations to the Managing Editor who then makes the final decision. statements on the title page. rovided informed consent and whether the consent was written or verbal. submission as a separate file. subject to ethical considerations and to include a data accessibility statement in their manuscript file. Gateway, which includes information about SAGE’s partnership with the data repository Figshare. Manuscript Submission Guidelines page of our Author Gateway. Medicine’s Medical Subject Headings (MeSH®) website. of the study. Include a brief review of important literature in the relevant field. References cited should be in parentheses ( ). reader may understand the method. consent was written or verbal. explaining the reason is required. was not obtained, the reasons should be stated in themanuscript. suffering of the animal should be mentioned. related to conflicts of interests must appear. some capacity but cannot be qualified as authors. Disclose if any funds were received to conduct the research. that the website was last accessed. submitted in any other format may delay the publication of your article. 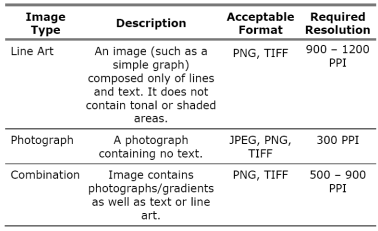 electronically in their original format (e.g., png, jpeg, tif). artwork downloaded from the internet (JPEG or GIF files) cannot be used. format it was created (e.g., png, jpeg, tiff). editable. Equations must be placed in brackets [ ]. Use Arabic numerals to name tables (e.g. Table 1). Cite tables in the text in consecutive order. for the footnote beneath the body of the table. the first author and match its label in the manuscript (e.g., SMITH Table 1). https://mc.manuscriptcentral.com/TCRT to login and submit your article online.